Paris-based luxury brand Louis Vuitton has unveiled a substantially larger concession at Holt Renfrew at 50 Bloor Street West in Toronto, featuring a dramatic branded sculpture installation that soars three levels directly above the store. It’s all part of a renovation to Holt’s flagship that will be completed in 2020, and is part of an expansion for Louis Vuitton in Canada. 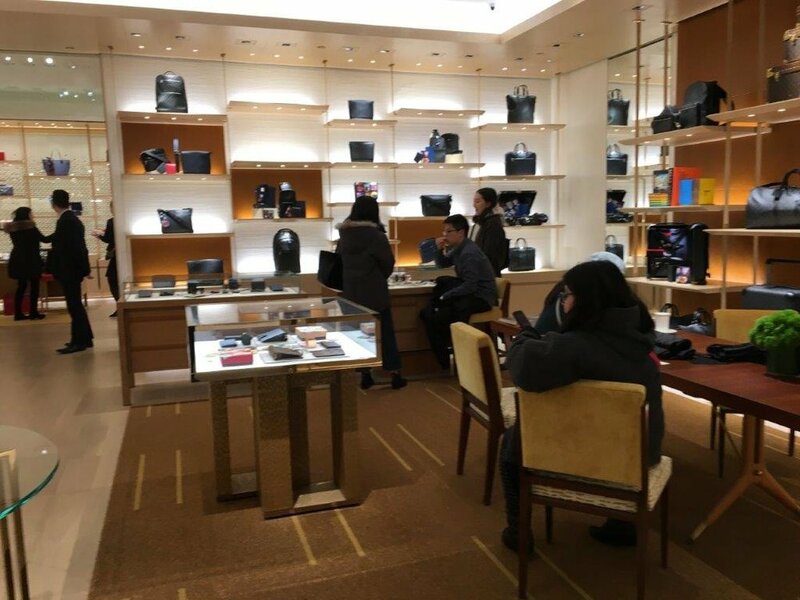 Curtains came down on the Louis Vuitton concession on Friday, November 16, revealing an updated space showcasing Vuitton’s latest store design, as well as an expanded assortment of product. The concession carries bags and various accessories for women as well as some men’s pieces, women’s footwear, and some travel pieces (including some vintage display items). 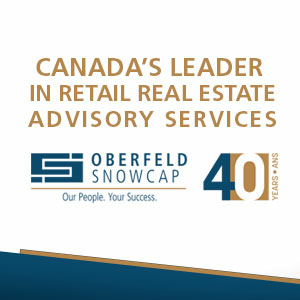 The new store is located on the ground level of Holt Renfrew’s flagship and it features a prominent storefront west of Holt’s escalator atrium. Vuitton is so large that it includes two entrances — one facing the escalator well, and another facing towards the store’s accessory department which is in the process of undergoing a renovation. A City of Toronto building application indicates that the new Louis Vuitton boutique measures about 2,650 square feet, replacing a former location in the northwest corner of the building that has operated there since 2004. One of the more notable features of the new Louis Vuitton concession is when you look directly above — a gigantic three-story LV-branded sculpture hangs from the third-floor ceiling of Holt’s over Vuitton, and it is visible throughout the store. Included is an LV-branded hot-water bottle, a pink pig, a red cat, and what appears to be a yellow robot bear with a flower on its back (we included photos and video in this article). It is the only sculpture of its kind for a Louis Vuitton concession, according to staff in the store, and the brand had initially considered installing it in Holt’s central atrium before deciding on placing it directly above the concession. The new Vuitton concession is part of a bigger renovation to Holt Renfrew’s 50 Bloor Street West store that is expected to be completed in 2020. The store’s ground floor added a Saint Laurent concession with its own entrance onto Bloor in March of this year, and a nearly 3,000 square foot ‘World of Fendi’ concession will be opening soon as well. Other luxury brands expanding their presence on the ground floor of Holt’s Bloor include Bottega Veneta, Dior, Gucci, Celine and several others, as the store rearranges some of its departments. Some cosmetics vendors will move downstairs onto the concourse level and some leather goods brands will be moving upstairs. The store’s recently revamped footwear hall on its mezzanine level includes an entire area housing luxury handbags from brands such as Valentino, Chloé, Givenchy, Balenciaga and others, as well as boutiques for Christian Louboutin and Gucci (mainly for footwear) and soon, Dior and Roger Vivier will join the mix. 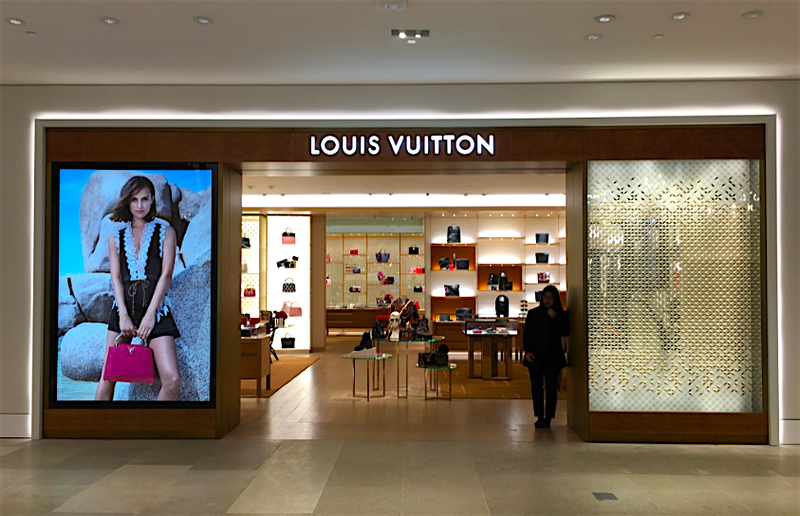 Louis Vuitton is expanding its presence in Canada — a 4,450 square foot standalone Vuitton opened in Calgary at CF Chinook Centre last month, replacing a location at Holt Renfrew in downtown Calgary (a Dior accessory concession will replace it, we’re told). 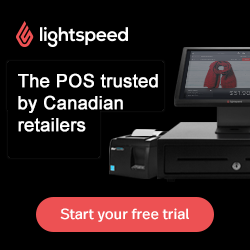 A standalone Toronto Yorkdale store is in the works, according to the company, as is a standalone Edmonton unit that will be similar in size to the new Calgary store. Louis Vuitton also operates standalone stores in Toronto (about 18,000 square feet at 150 Bloor Street West) and at the Fairmont Hotel Vancouver (measuring about 10,000 square feet with an entrance at 730 Burrard Street). Vuitton also operates shop-in-store concessions at Holt Renfrew in Vancouver, Edmonton (for now), Yorkdale and at Holt Renfrew-owned Ogilvy in Montreal. Vuitton also operates a 1,200 square foot concession at Saks Fifth Avenue in downtown Toronto that opened in February of 2016. A standalone 3,000 square foot Vuitton store in Banff, Alberta, closed in May of 2011.